The Hall of Fame announcement for 2019 in Hearthstone is just around the corner. Let's take a look at past addition and what's on the chopping block this year! 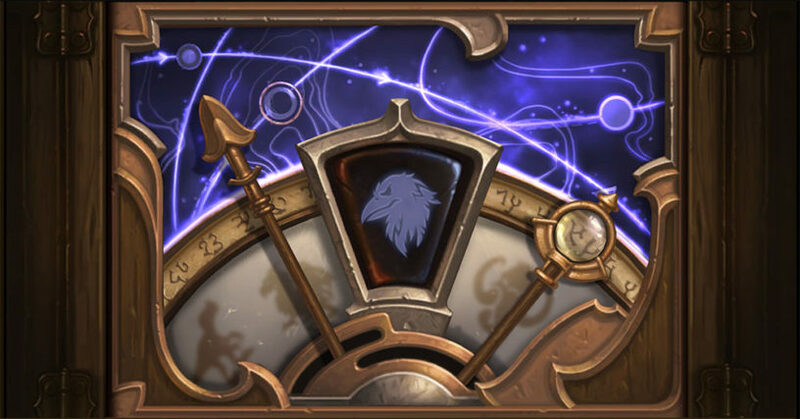 The Hearthstone Hall of Fame additions for 2019 have been announced! We're taking a look at the cards that have been chosen and the history of past updates for which cards have been chosen to head to Wild and the Hall of Fame set! Blizzard's announcement of the Hall of Fame was quite a shock to the community at the time. The philosophy when formats were announced, was that the Classic set would remain intact and not be touched. I believe they were concerned that players would not feel comfortable investing resources into cards if they weren't sure the cards would be around for a while. Thankfully, when Blizzard decided to go in this direction, they gave players full dust refunds on the cards they owned (at least up to a collectible amount). This made the addition of this new set to the game a lot more palatable for players. The cards were announced on February 28th, 2019! Cards will be shifted into the Hall of Fame on April 9th, 2019 when Rise of Shadows releases! Believe it or not, Blizzard has added some cards back into the set to replace some of the ones that were removed. You might not have heard about this because the cards basically see little to no play, but here's the list of cards that were added to the Classic set: Icicle, Tome of Intellect, Call of the Void, and Pilfer. Nine cards in total will be added to the Hall of Fame! This year is a bit different because the bulk of the cards are going to be ones from The Witchwood set. We have currently had two different years of additions to the Hall of Fame. It will be interesting to see how these things start to shakeout in the future as they end up having to add more cards to the set to replace things they've removed. The Hall of Fame feels like a short-term fix, so we'll see if Blizzard has something else up their sleeve. In the second year of the Hall of Fame, Blizzard made another interesting little adjustment to the rules. They decided to move Molten Giant to the Hall of Fame, and revert the card to its previously un-nerfed status. This is a fun idea, and it might be nice if they continue this trend in the future with more cards. Ice Block: Blizzard was able to mostly kill Freeze Mage with their removal of Ice Lance from the Standard format in the previous year. However, a new combo deck arose called Exodia Mage. This was a tough deck to play, but it had a lot of similarities to Freeze Mage and featured some of the same issues that Blizzard didn't want in the game. To cripple these decks once and for all, Ice Block was moved to the Hall of Fame. Coldlight Oracle: This one was a bit of surprise at the time, but follows along the path of Blizzard not liking decks that are not fun to play against. Coldlight Oracle fueled Mill decks, and could fit in any class. The card limited Blizzard's ability to print any cards that could copy and duplicate cards, so it ended up heading to Wild. Molten Giant: It wasn't really a problematic card after the nerfs, but the additional cost made it pretty much unplayable. Sending it to the Hall of Fame allowed Blizzard to revert the nerf and open up Handlock style decks to be played again in the eternal format. The Year of the Mammoth brought in the first additions to the Hall of Fame. This was big because it was a shake up in philosophy with the game, and in the past it was widely known that the Classic set would never be touched. This was deemed problematic, and Blizzard recognized it needed to make changes to its core card offering to significantly change up the meta. Azure Drake: Probably the most used Neutral card in all of Hearthstone. It's just a strong and fair card that fit in a lot of decks, especially due to the lack of strong 5-drops at the time. This card has a lot going for it, with the Spell Damage, Battlecry, and the Dragon tribe. While your deck might not always use some of these benefits, they would be helpful now and again in different ways. Sylvanas Windrunner: A bit of a surprise addition at the time. While it was always a good card, it was never oppressive. The RNG could be frustrating, but there were ways to play around it. Ragnaros the Firelord: Probably one of the most iconic cards from the game. Ragnaros kind of represented Hearthstone in a lot of ways. It was big and flashy, plus it brought excitement. There were a lot of moments in tournaments and general play where Ragnaros would decide the fate of a game. While normally you were hoping it would hit a minion, Ragnaros could also finish off an opponent and it was always exciting to watch. Power Overwhelming: This card was a really good combo finisher, and found its way into Handlock with Leeroy Jenkins. It also synergized well with Shadowflame and even in Zoo at times when it ran Void Terror. The problem became that it was just too good in too many Warlock decks. Ice Lance: This card was only problematic in Freeze Mage. Blizzard made it painfully clear that Freeze Mage was not a deck they wanted to be popular or maybe exist at all. They made many nerfs and changes that hurt the deck. While it might have been a fun deck to play, it was not a fun deck to play against. This inevitably led to a lot of complaints. Conceal: Another surprising addition, but the card limited design space and paired very well with Gadgetzan Auctioneer who was the main driver of Miracle Rogue. This was a nerf to Auctioneer, and also allowed for stronger cards to be added to the Rogue class. While those were the featured cards to head to the Hall of Fame, there were some lesser used and known about cards that also got moved. Captain's Parrot, Elite Tauren Chieftain, Gelbin Mekkatorque, and Old Murk-Eye also got sent. These were cards that could either be earned by completing a hidden quest or were promotional cards in the past that could just be crafted with dust. The majority of the cards saw no play, but Old Murk-Eye was featured heavily in multiple Murloc based decks and was actually quite good.